« Why LinkedIn’s Pulse could be a highly effective tool for commercial surveyors, and how to do it well. Look back through the majority of articles about the major players in PropTech over the last year, and you’ll certainly encounter someone waxing lyrical about the brilliance of Fixflo. Their property repair management system has streamlined the process of reporting and resolving repairs, making life easier for landlords, tenants and contractors, and they are now looking to expand their reach in the commercial space. 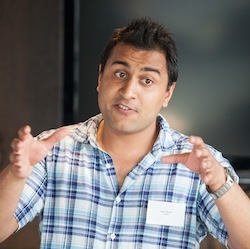 We spent half an hour with founder and CEO Rajeev Nayyar to talk about their plans. Most people will be aware of Fixflo and the incredible success you’ve had since launching your platform. In fact, it can be pretty hard to keep up with your progress – can you give us a quick overview of where you’re currently at? Our main market is the private rented sector, and we’re currently being used by around 400,000 homes in the UK. But our systems are also used in the residential block management sector to streamline resolution of reactive issues in communal areas of blocks of flats, as well as planning, tracking and completing cyclical works such as gutter clearance, boiler checks lift checks and that sort of work too. We have 50,000 flats in the UK using that version of the system. We’ve got clients internationally as well: in Australia, Germany, the Republic of Ireland, America and South Africa. This isn’t a huge number in volume yet, but the good news is these have all been inbound. And now you’re making the move into commercial property as well? This feels like a very natural transition. We are already used in some commercial properties such as office blocks and hotels. We’ve also just been approved for a trial with Segro which is Europe’s largest listed owner, asset manager and developer of industrial property. So how do you see Fixflo benefitting the commercial property space? I think we can provide benefits across the entire commercial property sector. Anywhere there is a requirement for either reactive and/or planned maintenance to be carried out we have great application. Examples include where the system is predominantly used by occupiers alone, such as retailers who have a large element of fit out to maintain across different premises or by property managers maintaining common parts and managing cyclical works in multi-tenanted office blocks or shopping centres. Put simply, if streamlined, robust and clear onsite workflow management is required there is a Fixflo system waiting to help. We obviously recognise that commercial property is a giant beast and comes in lots of different flavours, and we have enough flexibility in our plans to see where the market takes us, but thus far we have had demand from industrial, retail, offices and hotels, so we’re confident it’s going to be a real asset to the commercial property space. Will you have to change your technology at all to accommodate this market? Our platform is highly configurable and was built with the intent that it would be used across the wider property industry. Either through a consultancy process with one of our account managers or through self-service functionality our customers can change things to perfectly suit the needs of their business. The differences will be driven by the use cases for each client. For example, in industrial it is likely that the proportion of reactive to planned items will be lower and those reactive repairs will be reported for common parts of an estate by on-site staff. Taking the retail side of the market, it’s much more likely they will use the reactive side of the platform more, simply because lots more things break on a regular basis that need to be fixed promptly to preserve turnover and profits. One feature set that we definitely foresee being of enhanced value is smart contractor selection and monitoring due to need to combine contractors under service agreements for core maintenance and servicing, and ad-hoc specialists for issues falling outside the scope of those agreements. So our system proposes from the company’s bank of contractors the team that are the most appropriate, who have done similar work before, who are the ones contracted to deal with those type of works etc. It also tracks their performance, and allows contractors to show their qualifications, proving whether or not they are authorised and insured to carry out certain types of work. And as with residential, I guess there will be a clear and traceable communication stream? Exactly. Rather than using email from different property managers to different people within an organisation, all of the communications are centrally located. Fixflo keeps a chronological record of the entire process so there is a clear auditing stream, including before and after photos from contractors, invoices and financial reports and anything else that is relevant. It’s a complete repair management system. Having worked as a lawyer in the commercial property sector for seven years, I can say with confidence that this is really important. In an increasingly litigious environment, having clear, concise and centrally held records is key. My experience is that litigation can be hugely expensive, and even more than the hard cost of lawyers is the drain on executive time and internal staff resources, particularly in the disclosure process. We used to call it defensive practice, so not just doing the right thing, but being able to show you’ve done the right thing and taken all the necessary steps to comply with lease covenants and statutory regulations. These days this is not just nice to have, it’s essential. Will you be looking to form any partnerships in the UK commercial property space? We’re always looking to work with willing and capable partners. In the residential space we currently have 13 partnerships with other companies both in the UK and abroad, so we’re well versed in the process of integration and collaboration. Currently, for the residential block management we are supported with our partnership with Qube Global Software, who are the leading provider of block management software in the U.K.
And in the commercial space we have already partnered with TAP, who provide portals for property occupiers and managers. The Fixflo platform has been designed for easy integration and we have also quickly and easily integrated into bespoke in-house property management and accounting systems. Partnering in this way seems like a good approach to take? I think it’s a necessary approach, because I think software generally is moving towards more of an eco-system approach, and the ‘one stop shop’ is a thing of the past. Now you have one central source of ‘truth’ if you like, which might be a database or financial report, then coming off this are niche or custom and bespoke solutions to suit a client’s business. That allows providers to create a product that is perfect for their business at a reasonable price, and it also allows those bolt-on providers to continually innovate. Being focussed on a discrete problem helps a service provider deliver excellence to their client and their client, in turn, to deliver excellence to their customers and clients. Talking of innovation, it has been said that commercial property is sometimes a little slow to take on new technologies. Why do you think this is? Tech and property have been viewed very differently, mainly because property processes are already very robust and, in large part, underpinned by legislation. But there’s a growing understanding, led by the likes of the RICS that every business, even within the property sector, is a technology business. The divide between “tech” and “property” is diminishing and those businesses that strive to put adoption of value enhancing technology at the core of their strategy and actively select service providers that do likewise are best place to thrive in an increasingly competitive marketplace. Do you think there’s a lot that can be changed? Yes, there are processes that can be improved, it’s just going to take some time. I actually think that even if there was rapid adoption of all the tech that’s currently available, let alone what will be created, that would take 10 years. So there’s enough tech already for 10 years of innovation within the commercial property sector. Another really important thing to bear in mind is how much consumer experience is now driving everything, including the relationships between organisations. It’s much more about the experience of an individual now. This is being driven by the major players in mobile technology and the platforms they are creating. So if something is broken, property managers want an ‘Uber-ized’ experience where they can report it instantly from their phone to their maintenance team. They then expect an Amazon type reply updating them on the progress. There are some really interesting stats that show how what ‘good customer experience’ has changed, even in the last three years. So in 2014, three hours was an acceptable time for a reply. In 2016, we expect a reply within an hour. Of course, in a physical environment, we know there are contingencies, but it’s important to be honest about these and manage customer expectations. The nature of Fixflo allows for all this to happen. It seems like this might be a good time for FixFlo to be moving into the commercial property space? I certainly hope so, and I think we have two more big trends in our favour. Firstly, there’s a move from seeing landlords as the sole client to tenants as being a valuable stakeholder and a customer of sorts. That’s being driven by tenants having shorter lease terms, and much more regular reviews of their arrangements. That means that dealing with the needs of the tenants is much more important. If you don’t serve their needs they will move damaging yields for investors. The other area I think we’re moving toward is as property managers as relationship managers. There’s an acceptance and expectation that instead of sitting behind a desk, they will be out building relationships with tenants, to understand what their existing and future needs will be. Mobile first technologies will allow them to do their job while their out on the road. Will your move into commercial allow other prop-tech companies to do the same? Potentially, though think there are nuances to commercial property that might not be widely understood. I’ve worked in commercial property for 7 years, and advised clients through every stage of the life cycle. I think the commercial property industry is a lot more guarded, and you have to really understand the industry to succeed. It may become less important as technology becomes more prevalent, but the truth is that trying to sell any product to someone when you don’t know their industry and the pain points they face is almost bound to fail. Any other companies that you admire in this space? I really love what Land Insight are doing – I think that’s a really clever and exciting product. And this comes back to my point that Johnny really understands the industry, and only on that basis is he providing a technological solution. Companies like this I think are going to open the minds of venture capitalists within the space, hopefully allowing for more useful innovations that will make people’s lives easier. 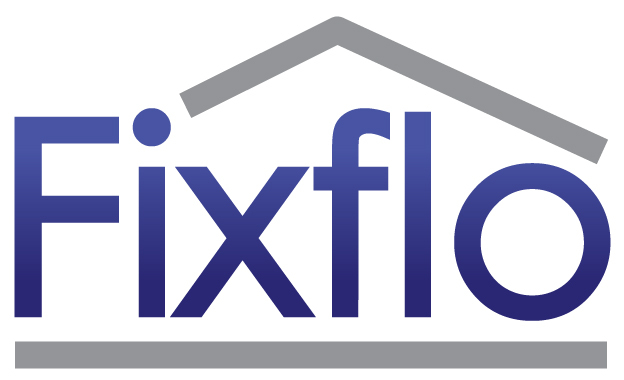 Find out more about Fixflo’s commercial offering here. This entry was posted on Monday, January 16th, 2017 at 4:42 pm	and is filed under Uncategorized. You can follow any responses to this entry through the RSS 2.0 feed. Both comments and pings are currently closed.